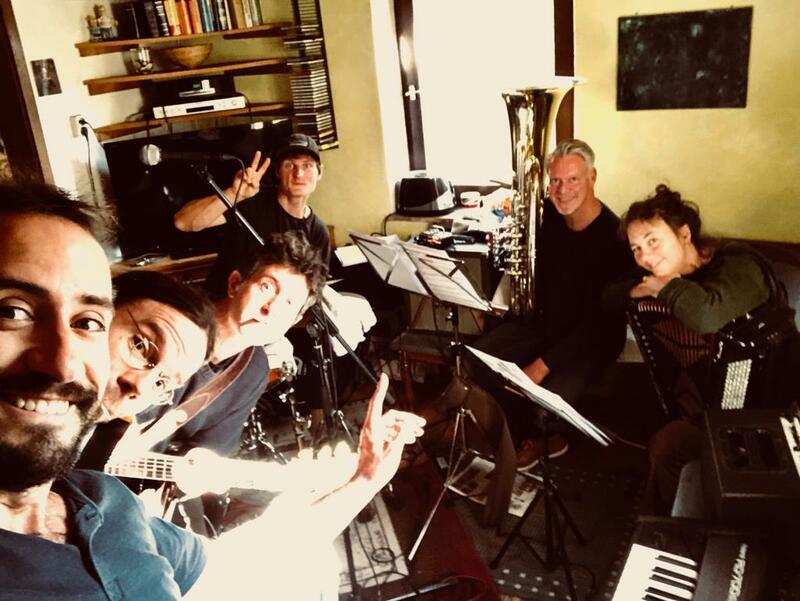 Here we are in rehearsal for the upcoming recordings for our new album, working title: ‘Of Pigs & Pirates’ – we’re very excited about the new material, it takes the band forward with something a little more bite and groove. We’ll be working with award winning composer / producer Dine Doneff who will bring the new recordings to a whole new level. We start in the studio on Friday – we’re not sure when it will be finished but we’ll be bring some updates over the course of the project. The new album is heavily inspired by the stories of the Brothers Grimm but will hopefully also feature one of the oldest GT songs still on our current playlist, composed and recorded as a demo in 2006 (the founding year of Gurdan Thomas) it’s our popular pirate song ‘I’d Have Her’. We’ll also be working with Johannes Url (drums) and Martin Habersetzer (Tuba).